More and more small business websites are jumping on the WordPress bandwagon. We’re hear to explain why. WordPress is becoming a behemoth of a platform. Of all the content management systems. WordPress accounts for 68% of the market share. To break it down, two out of three websites are using WordPress software. For a platform that is criticized for being insecure. The statistic is telling a different story. We’ll explain why small business owners are choosing WordPress for their website. WordPress accounts for nearly 25% of all websites on the internet. Yes you read that statistic correctly. The platform started out mostly for blogging. Over the years, WordPress has built a powerful content management system. Oh and the system itself is open source. Meaning the system is free for anybody to use. Let’s discuss why WordPress has become the website platform choice for small business. Besides the fact that WordPress is a free platform, why are small business owners using WordPress? One of the main reasons is the simplicity of the website’s back end. WordPress provides website owners the ability to control content on the website. The owner can edit text, add imagery, or publish a blog post in a matter of clicks. Empowering small business owners with the ability to control specific aspects of the website is an invaluable feature. The platform is scalable for any size business. WordPress sites range from mom and pop shops to corporate sites like the Walt Disney company. If a conglomerate the size of the Walt Disney company is using WordPress, we’d say it is more than acceptable for small businesses. There are numerous features that can help a WordPress website grow. Features like plugins add enhancements to the existing website. Plugins range from contact forms, security, website backups, and so much more. We discussed WordPress plugins in another blog post. Highly recommend reading the blog post to obtain a better understanding of how WordPress plugins work. WordPress is undeniably one of the top website platforms. We highly recommend the system for any size business. Small business can enhance the company’s digital footprint by being on WordPress. Search engine optimization (SEO) is important for any business. Being found on the first page of any search engine results page provides a competitive advantage. We won’t dive too deep into SEO, but the short version goes like this. The WordPress platform comes optimized for search engines right out of the box. All links, the platforms code, and website URLs are optimized for search engines. If you really want to take the website to the next level. You can find a plugin that can help enhance the website’s search optimization. One of the most famous plugins for optimizing a WordPress website is Yoast SEO. The plugin can be configured to optimize numerous aspects of the site. For starters, a web page can be targeted with a specified keyword. The keyword is then scored with a specific color. The color red indicates the page is not optimized, while green translates to being perfectly optimized. The plugin is robust with numerous features. Even with the plugin not being installed, WordPress itself is optimized for the initial stages. A lot of the SEO technical aspects of the website are already taken care of. The source code on the back end is optimized. WordPress themes are programmed to be search friendly. Good plugins are programmed to integrate nicely with WordPress and search engines. The point we are communicating is WordPress itself is a search friendly platform. The platform allows a small business to enhance the current website. The community that powers WordPress is absolutely amazing. Most, if not all, members of the community are always willing to help. The WordPress community comprise of individuals who are passionate about the WordPress product. If you’ve ever come across the WordPress support forum on WordPress.org. You’ll see there are lots of individuals who try to help one another. No matter how big or small the issue, the community is willing to sacrifice their free time. We’ve adopted customers in the past and have converted customers over to WordPress. Why is this relevant? All WordPress developers, managers, and content coordinators are able to pick up where another company has left off. There are no shortage of individuals, entities, and organizations who work within WordPress. The community extends beyond the forums. WordPress camps or WordCamps are organized throughout the world for WordPress community members to meet. These WordCamps consist of meetups discussing the future of WordPress. Discussions can consist of new features being implemented. What the future of WordPress holds. Simply a meet and greet with other WordPress advocates. The events take place throughout the year. The community is that large. If a WordPress developer were to leave you. There’s a good chance someone local to the business will be able to assist. Small business owners do not need to worry about finding a replacement. We discussed why WordPress is such an awesome platform small businesses. 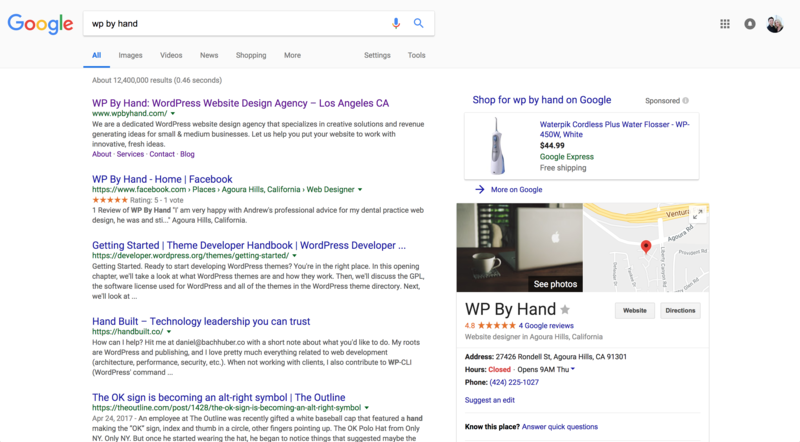 How a WordPress website comes equipped with SEO best practices. The WordPress community are a loyal bunch of individuals. If you are not convinced by the article of why WordPress isn’t right for you. Let’s chat in the comments section to discuss your concerns. We have a strong feeling we can turn you into a WordPress advocate like us!